Click here to buy a print copy on Amazon. Click here to buy an e-book for Kindle. Click here to buy an e-book for the Nook for $8.88! Click here to buy a print copy on Lulu. I did an interview with Donk Magazine... don't forget that it's in German! Benjo was interviewed by a Swiss magazine about the French version of Lost Vegas. Check out Slow Rolled.... if you can read French. 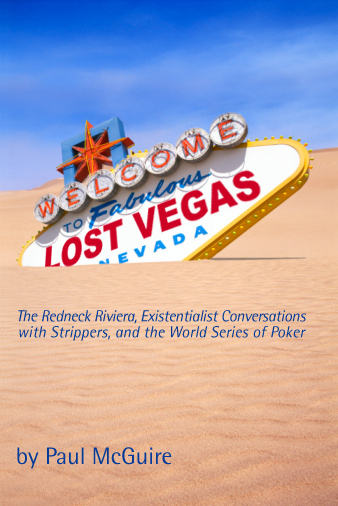 In case you were wondering, the French version of Lost Vegas will be published by Inculte in the second half of 2011.
e-Lost Vegas for Your New Kindle, Nook, and iPad! Click here to buy Lost Vegas!